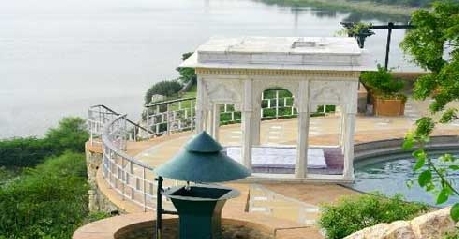 Hotel Sardar Samand Lake Palace is one of the most preferred heritage hotels. 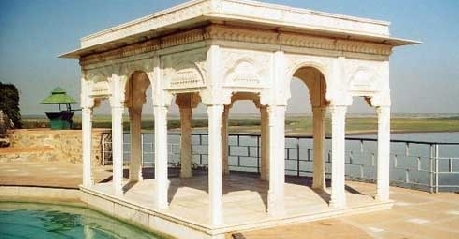 Situated on the banks of dazzling and serene lake, it was constructed by Maharaja Umaid Singh in the year 1933. It is a magnificent royal palace that is simply the right accommodation option for travelers who are seeking accommodation that lets them enjoy regal era experience. 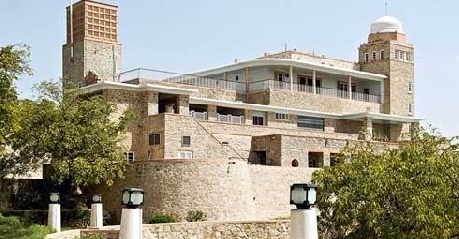 The fort features tennis, oriental garden, squash courts, swimming pool and boat house letting you taste the beauty of royal era. The lake is a paradise for bird watchers. 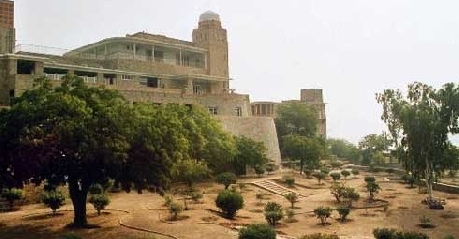 The fort is the most preferred destination amongst business as well as leisure travelers who are here for an extended trip. Home to nineteen air-conditioned rooms, the palace lets you enjoy luxury at its best. Each room is sumptuously and elegantly furnished featuring amenities that travelers look for. 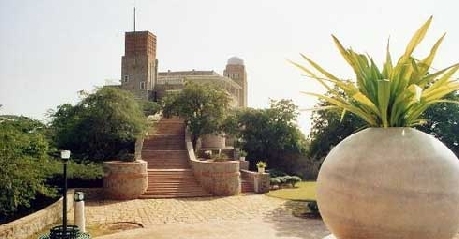 It is the regal architecture of the fort that takes you to the regal era that makes for a pure delight for the guests. 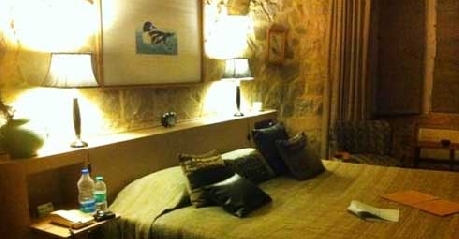 There are nineteen deluxe rooms categorized into single and double bedrooms. Depending on the number of people travelling, you can book the accommodation of your choice and have memorable time. Each room is designed lavishly featuring a variety of luxurious facilities that is a must for discerning travelers to the palace. Highly spacious rooms with slight touch of Rajasthani architecture and culture makes you feel as if you are reliving the times. There is a glimpse of royal period in every room. It is the location of these rooms that make them highly popular amongst travelers from all over the world. Each room offers panoramic view. There are several facilities that you will be able to enjoy when you book accommodation here. Some of the most common as well as basic amenities that you will get are direct dial facility, television with satellite channels, tea or coffee maker, safety lockers, air conditioned rooms, a mini fridge, running cold and hot water, doctor on call and laundry service. Lake View Restaurant is the destination for discerning guests who are looking for highly delicious food. This is the place where you can enjoy light meals, coffee and snacks too. Enjoy dining along the lake. This not only soothes you but also take away all the stress. All the dishes served here are prepared by chefs who have years of experience in cooking. Culinary delight is what you will be enjoying here. The restaurant lets you dig into Indian, Continental and authentic Rajasthani dishes that are prepared using local ingredients. International hygiene standards are maintained so that you can enjoy best of both worlds under one roof. What further enhance your dining experience is the amicable staff and well-done interiors.